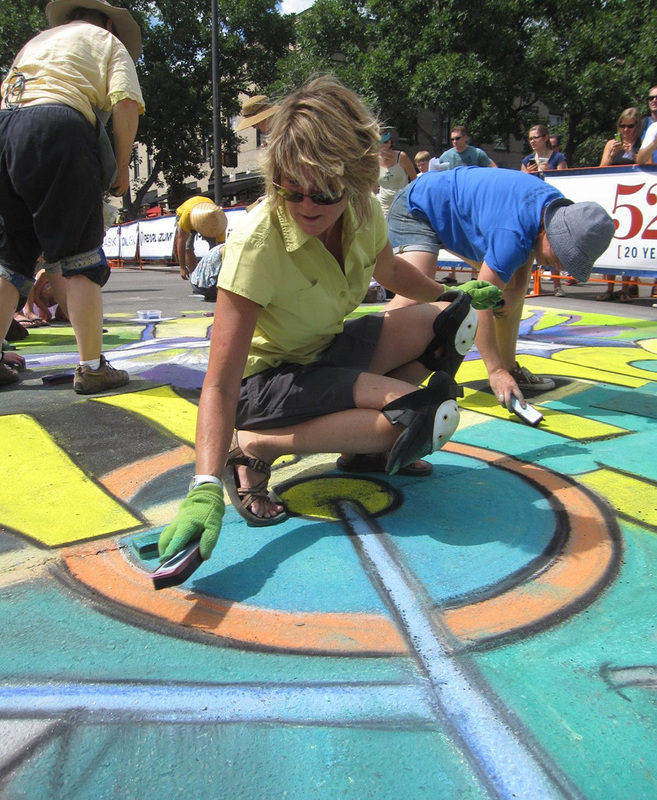 Sponsored by the Downtown Business Authority to create chalk art finale for the Pro Challenge Bike Race to promote our city and community of Fort Collins. Together a group of 9 fellow artists and myself created this image in under 2 hours to entertain race enthusiast. The image was televised nationally as cyclists finished the race.